Sometimes real-life events can cause studio execs in Tinseltown to make changes to their films, or at least their titles. 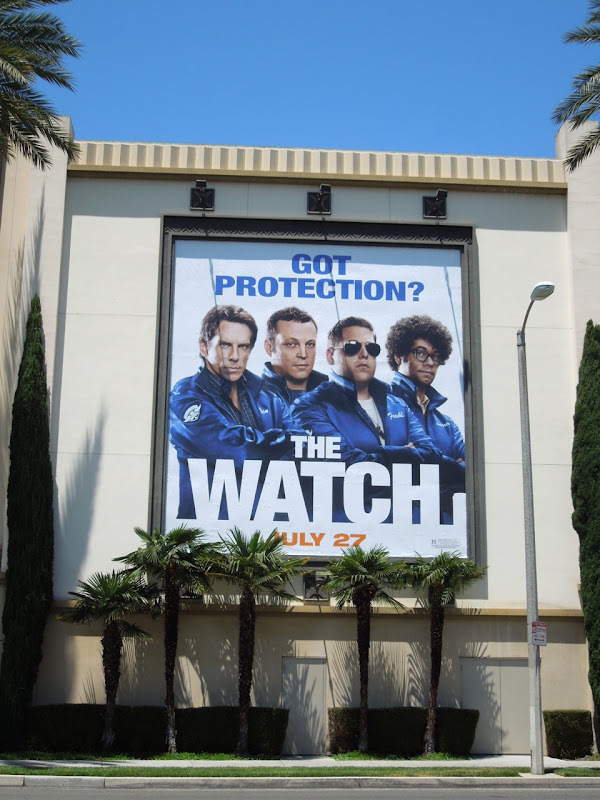 Apparently this was the case with 20th Century Fox's The Watch, which was previously known as Neighborhood Watch, following the fatal shooting of Trayvon Martin in Florida earlier this year. Fortunately the content of this comedy has a much lighter tone and concerns a group of neighbourhood dads discovering an alien invasion plot. 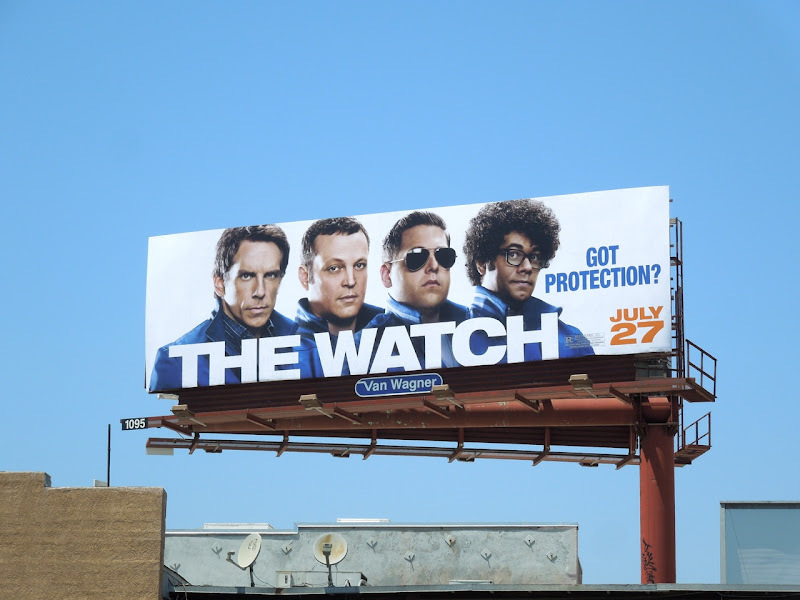 Funnily enough these billboards don't scream sci-fi (just why is Hollywood so fearful to embrace the genre? 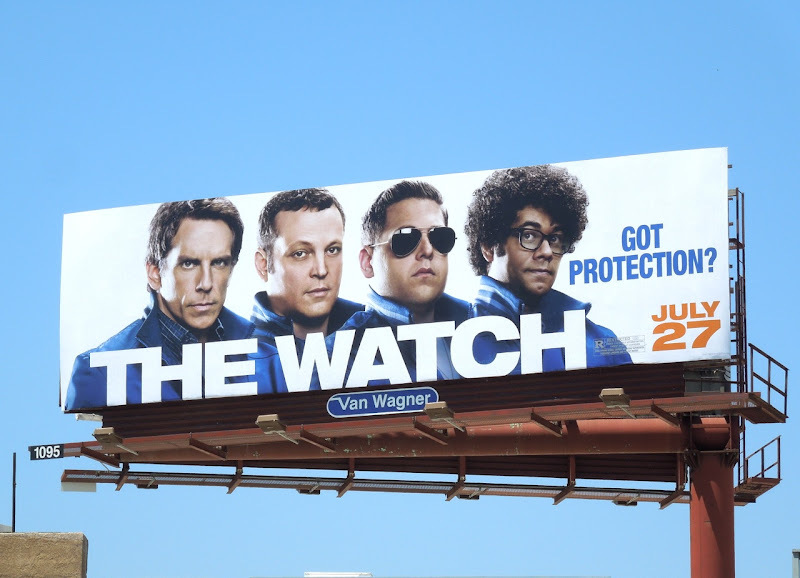 ), but they do come with big comedy credentials from Ben Stiller, Vince Vaughn, Jonah Hill and Richard Ayoade. 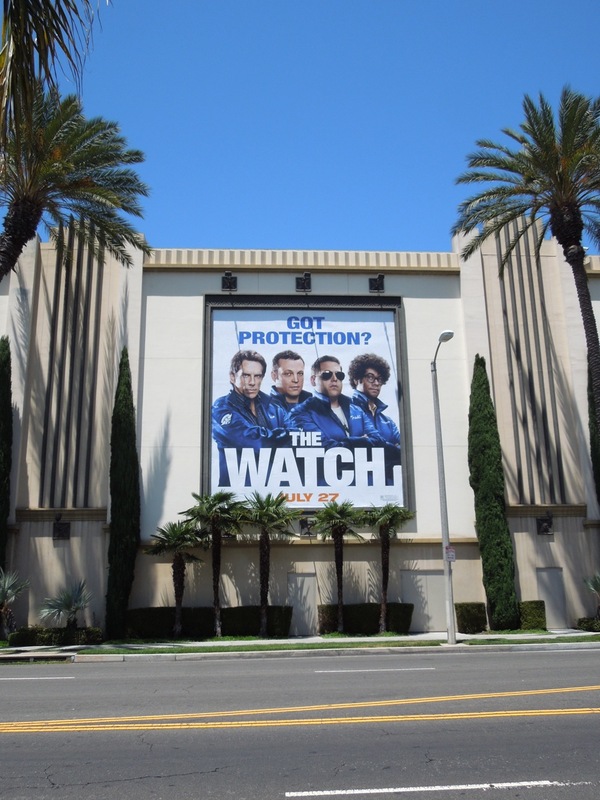 The landscape billboard was snapped along Sunset Boulevard in Hollywood on July 2, whilst the portrait version was spotted along 3rd Street on the side of The Grove shopping centre on July 9, 2012.